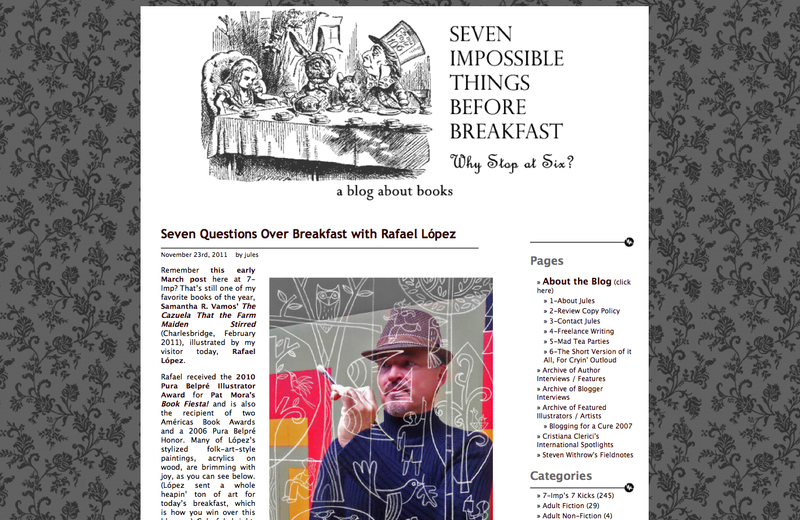 My warmest thanks to the exceptional Jules Danielson for this Thanksgiving interview in her amazing blog Seven Impossible Things Before Breakfast. 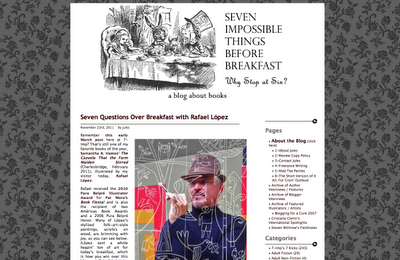 I’m a huge fan of this inventive blog that really celebrates book passion. Take a look at the interviews she crafts with writers and illustrators and I know you will get hooked.